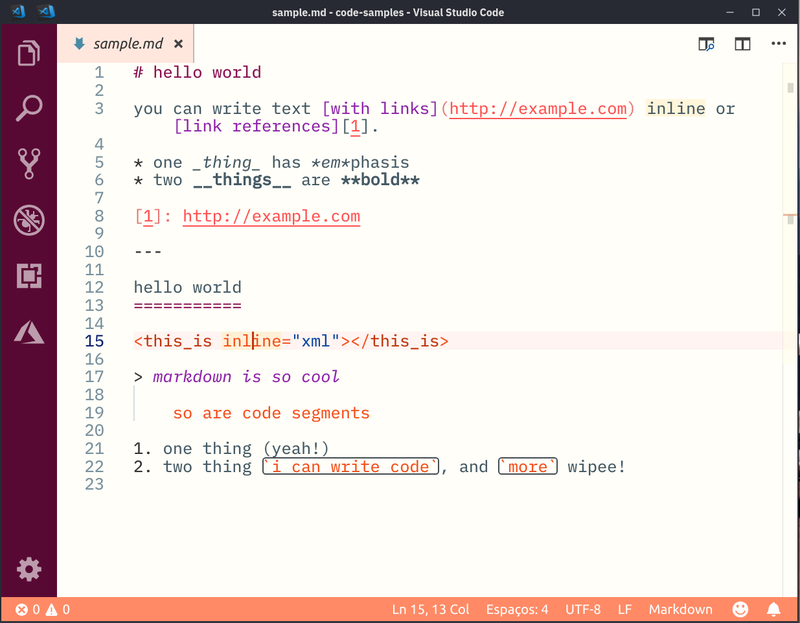 Visual Studio Code>Themes>Longsight Light ThemeNew to Visual Studio Code? Get it now. 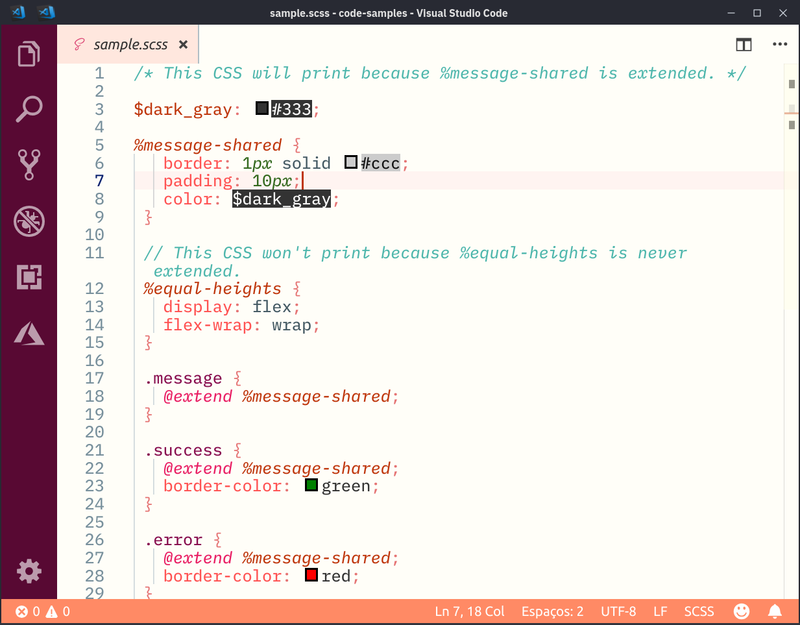 A colorful, yet eye-friendly, theme designed for use on data projectors, where dark themes do not suit well. Pretty usable on regular screens as well. 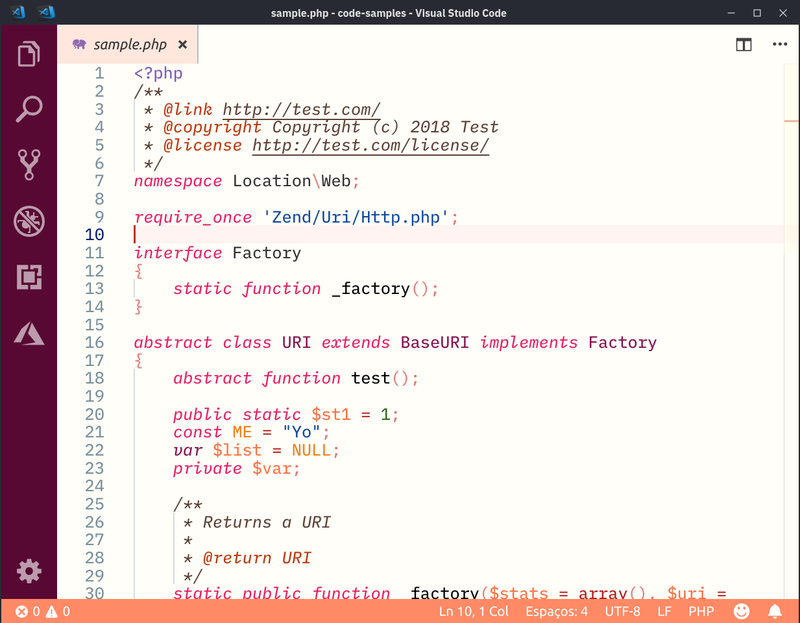 Supported syntaxes: Markdown, PHP, HTML, [S]CSS and (Java | Type)script. In Microsoft Visual Studio Code (download it here), press Ctrl + P. Paste ext install fgcintra.longsight-light-theme into the box and hit Enter. Reload VSCode window when done. All notable changes to this project will be documented in this section. Initial support for Python, Ruby and Java. Improved scope matching and colorization for supported languages. 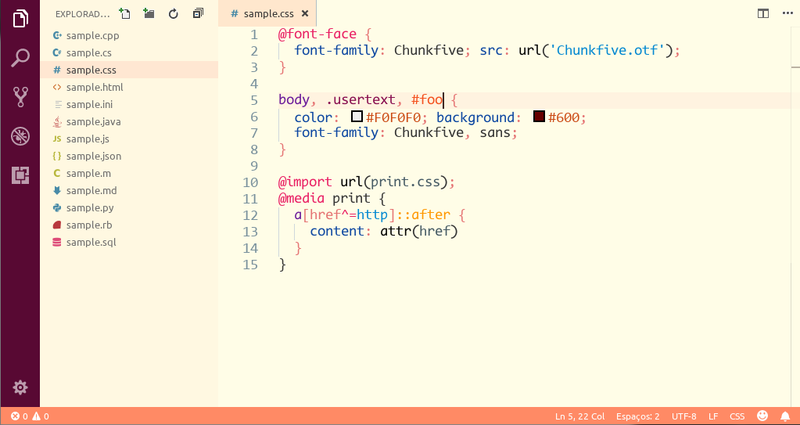 Initial support for SCSS and Markdown. Scopes were divided into sections and sorted in source file. This should make mantainance easier, as well as turn the code into a dependable base for other future themes. New, larger screenshots depicting real code. 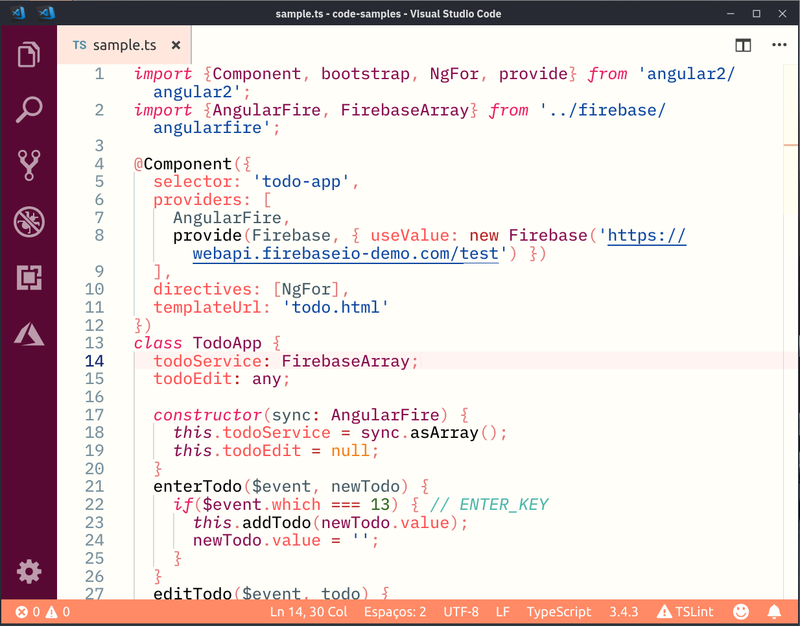 Scopes inherited from Atom One Light Theme, related to languages not yet supported. 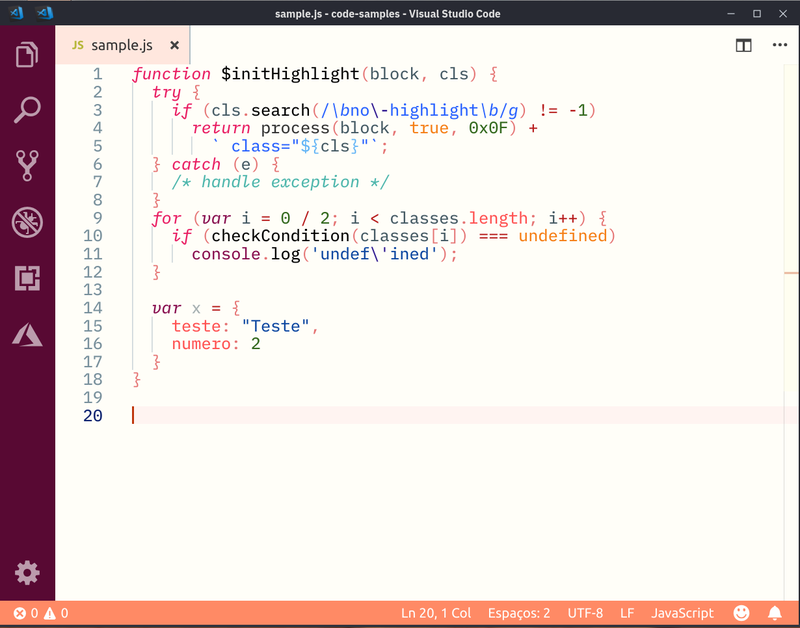 Fine-tuning scopes and colorizing for HTML, CSS and (Java | Type)script. 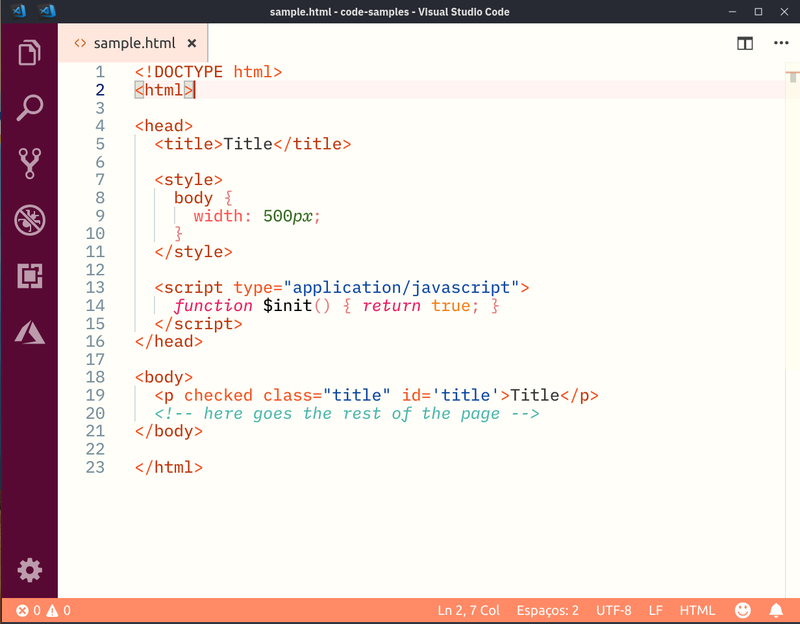 Initial release, supporting HTML, CSS and (Java | Type)script.